It is well suited in videoconferences with few participants. It is less appropriate in videoconferences with more than four participants or webinars. In that case, I would recommend software with more functions. In our company, we use appear.in as a second option. We have a more robust software, but it does not allow simultaneous meetings. In that case, we use appear.in. Very easy to create an account. It has the same basic features as other robust programs. Can use it from anywhere, can access your documents, emails and others. Can message your group and arrange meetings, and it will notify you. Allow more participants online in the videoconference. We are using a larger tool suite that already includes video conferencing instead of our older approach of using different apps from different vendors.appear.in has a simple but great set of features but its pricing scheme is not as scalable as we really need in a 500+ employee company. Very easy to use, technical and non-technical colleagues have used it with no instructions needed. That says all about the app and services. It is a very simple tool. It can be accessed by all very fast. Sometimes we do more than one videoconference simultaneously and appear.in helps a lot as a second option, especially with few participants. It stacks up with other software in terms of bugs and requirements. It is a well developed product which helps solve real life problems of connecting with people and sharing documents. Can access from anywhere in the world, just need a browser and internet. The problem with it is just that it doesn't have a mobile app, which is a requirement nowadays. Sometimes we do more than one videoconference simultaneously. Appear In helps a lot as a second option, especially with few participants. When our main system failed, we used appear.in so that the meeting could be held. Can get documents from anywhere if you forgot your files. Can connect with anyone in your group, chat, share ideas, and requirements in a single instance. 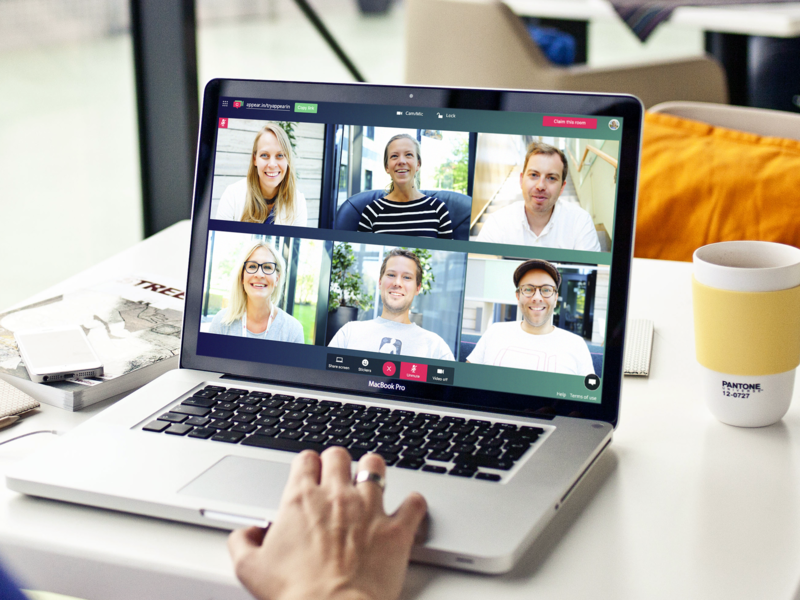 Easy video meetings with excellent video and audio quality.